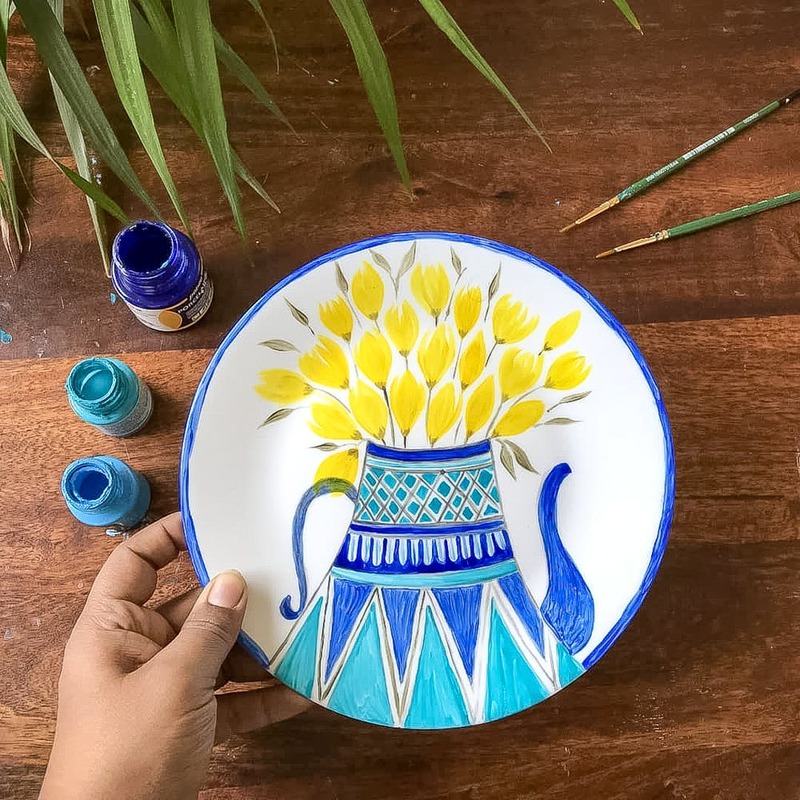 If you’re looking to add pretty plates to your collection, there’s a Pune artist that hand-paints tableware and serveware. Shibani Dhavalikar who goes as @by_shibani on Instagram paints designs that you’ll rarely find anywhere else. A self-taught artist, Dhavalikar began painting small floral patterns on paper. Her combination of colours adds a lovely pop to the home accessories she paints. With floral designs, a few cats and some geometric patterns, you can buy a unique set to add to your collection. From bright, colourful frames to kettles, plates and other home accessories, Dhavalikar paints everything by hand. She mostly works with acrylics on wood, but her finishing touches make your buy worth it and make it look as if it’s been designed by machine. You can shop for wooden frames, ceramic plates and teapots. All will look pretty as a picture in your home and we guarantee you’ll have envious guests asking you where you got your tableware from. The price range is between INR 900 to 2000. And, you can get something customised too, but there’s an additional design charge depending on what you require. Connect with Dhavalikar via Instagram direct message to place your orders, she’s also planning to launch her own online store in the future. We’d love to see a larger variety of accessories from Dhavalikar. We’d love cups, mugs, pots and pans and all kinds of serveware and tableware from the artist. Get pretty plates if you’re looking for a floral collection. And, if you’re a food stylist or a blogger, you’ll love to add some of these plates to your prop collection.